86% of an organization's productivity problems stem from the work environment. 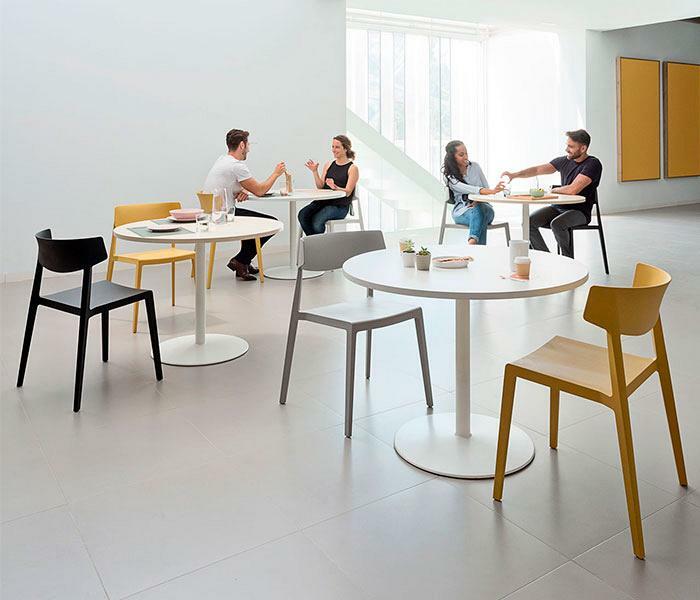 Issues such as furniture, layout, ventilation and the presence of natural elements can be decisive in employee well-being, when it comes to their creativity and in their commitment to a company. This is clear from the studies on performance and workspaces carried out by the Biomechanics Institute of Valencia (IBV). The environment in which we perform our work, and its conditions, are key. In fact, even by improving something as simple as lighting can increase productivity by up to 20%, according to some studies. 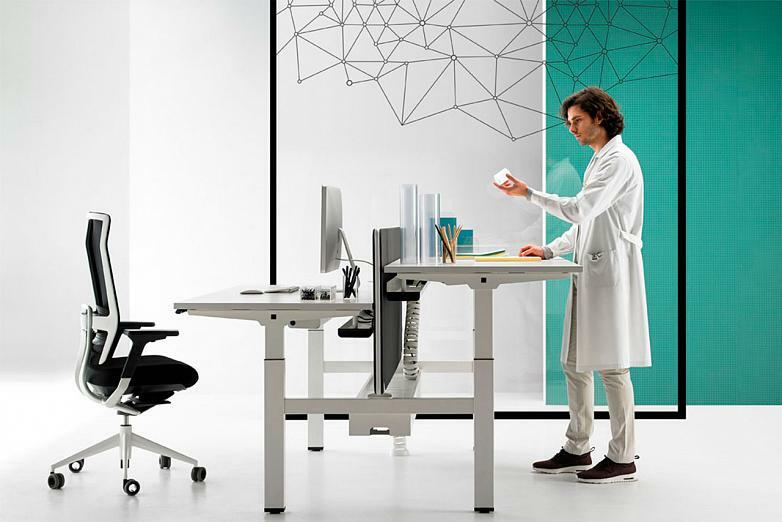 And when it comes to well-being, ergonomics is vital; work chairs and tables designed to foster good posture that favour the human body’s natural movement. 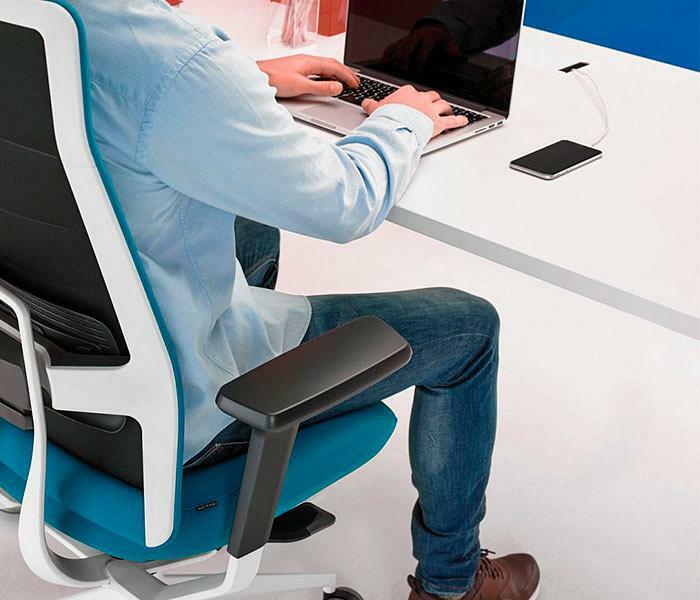 “The office chair and table and, above all, how the chair, table and computer are adjusted directly influences our body comfort, a factor that affects our occupational well-being which, in turn, has a direct impact on our performance. The chair should allow us to support the feet on the floor or on a footrest and provide the back with support. And, most importantly, it should allow us to move. None of us can sit for hours without moving. It is therefore important to get up at least every hour and improve the flow of oxygen to our muscles and joints”, explains the director of Innovation at the Biomechanics Institute of Valencia (IBV), Rosa Porcar. It is increasingly evident that the work environment plays an important role when it comes to attracting, incorporating and retaining talent. Furthermore, it provides an image of an innovative company and leads to employees feeling better, being more creative and motivated. 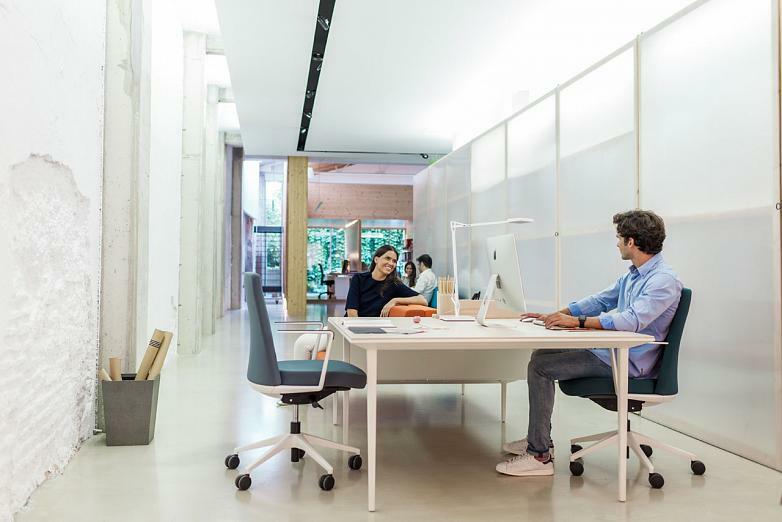 In particular, it is estimated that, in the operating cost of some offices, salaries account for 85% while the cost of furniture only accounts for 8.5%. Therefore, an improvement in the facilities that improve employee performance by between 2 and 5%, will lead to the total cost of the space being covered. 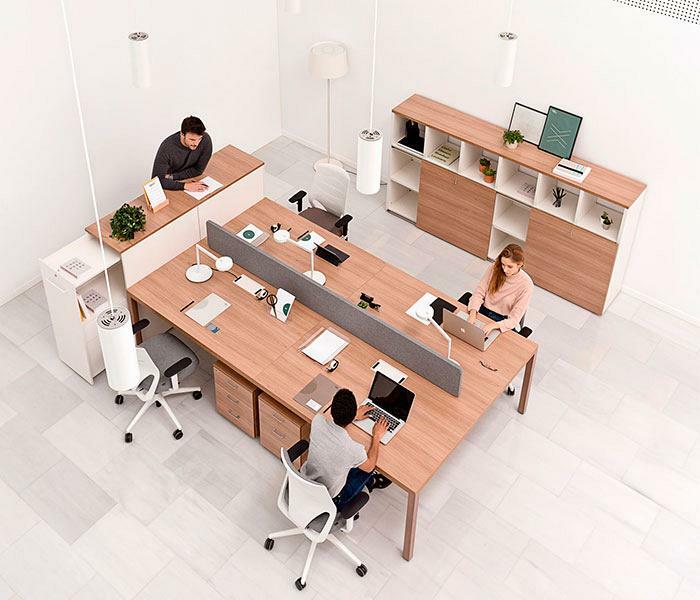 “Numerous studies show that improving the workspace directly influences a company's productivity. This refers to issues such as lighting, the thermal environment and air quality, but also the organization of tasks that can improve performance by up to 30%. The most important thing is not that immediate increase, but making sure it is sustainable. What current jobs demand is for us to be constantly learning in the long term. We should not only invest in ergonomics and health during the time it takes us to recoup the investment. ", states Rosa Porcar. Employee motivation, the trust and respect that the company places in each of its members and the relationships between colleagues is also a determining factor in their personal satisfaction. “Sick leave in work environments is due to many factors: hygiene, air quality and lighting, for example. But, above all, those sick leaves are due to musculoskeletal disorders - eyes, head and upper back - linked to stress and mental health. Mental and physical health are two sides of the same coin. Companies must take care of their employees, as human beings and not only as workers. This environment affects everything we do and, precisely, something we spend most of our day doing is working”, adds Rosa Porcar. To improve these relationships between any department, current trends are moving towards horizontal spaces which are less hierarchical, more open, combining areas for concentration and collaborative work, without forgetting areas that encourage social interaction and the exchange of ideas. In fact, it is estimated that more than 80% of the most valuable peer interactions can be classified as informal, including those that take place at the coffee machine. Hence the importance of having spaces designed for that purpose. Ultimately, having furniture and a layout designed with people in mind, in how they carry out their tasks and in how each of the elements are going to be used, increasingly results in more effective ideas and more creative solutions. Changes, whether big or small, that can go a long way to increasing a company's growth and projection. 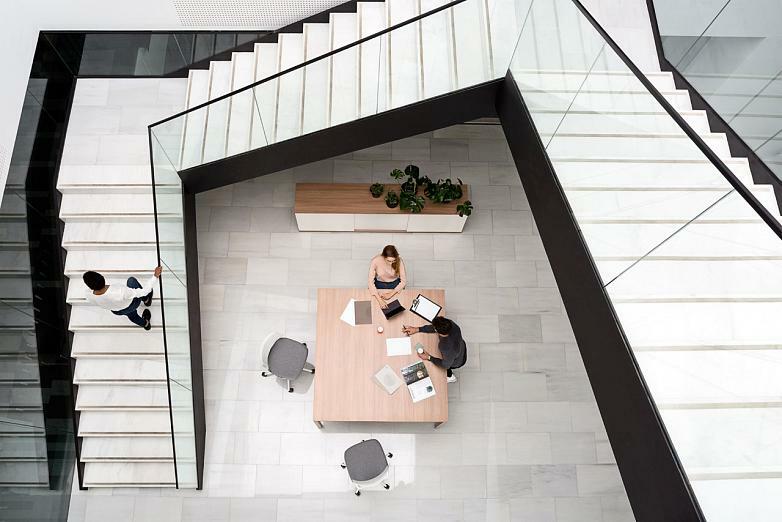 In fact, it is estimated that introducing natural elements into a workspace leads to its users being 6% more productive and 15% more creative.